CML Advocates Network - Free EHA congress registrations for CML patient organisations representatives: Deadline 27 February 2018! Please note that these Fellowships are available only to representatives of patient organisations, not for patients in their individual interest. The free registration allows full access to the scientific congress, but will NOT cover travel or accommodation costs. 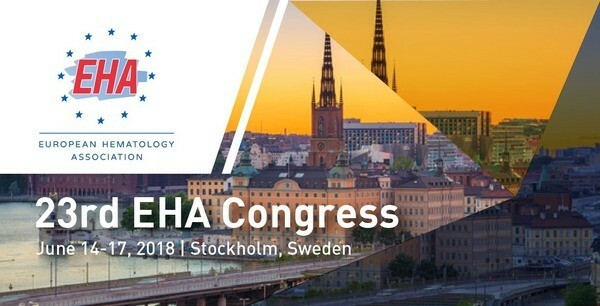 EHA is requiring all EHA Fellowship receivers to attend the EHA / EuroBloodNet Patient Advocates Capacity Building Session which will take place on Thursday 14 June from 14:00-17:00 (training session) and from 21:00 to open end (informal advocacy get together). Participation in the training session is mandatory for all EHA Fellows, and not participating there will actually make getting future EHA Fellowships unlikely so be sure you will be able to attend these training sessions.